So you want to convert your garage into something more than just for storage? You’ve come to the right place. 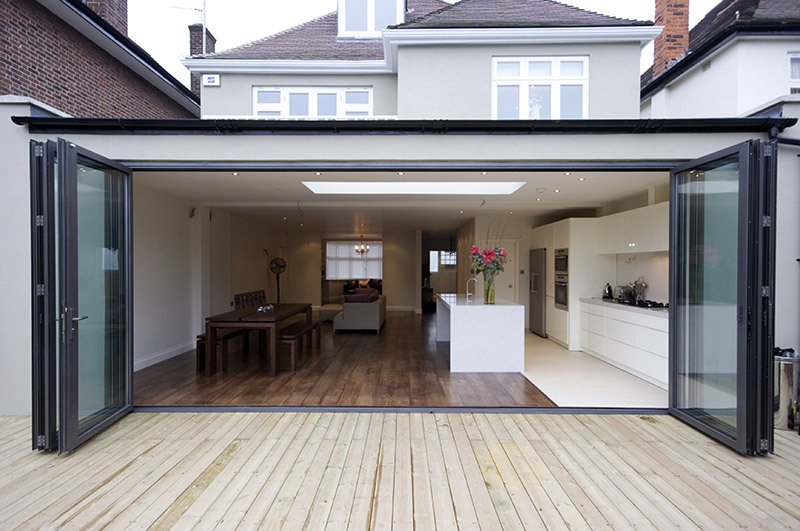 Garage conversion is a popular home improvement project that many people are taking on. 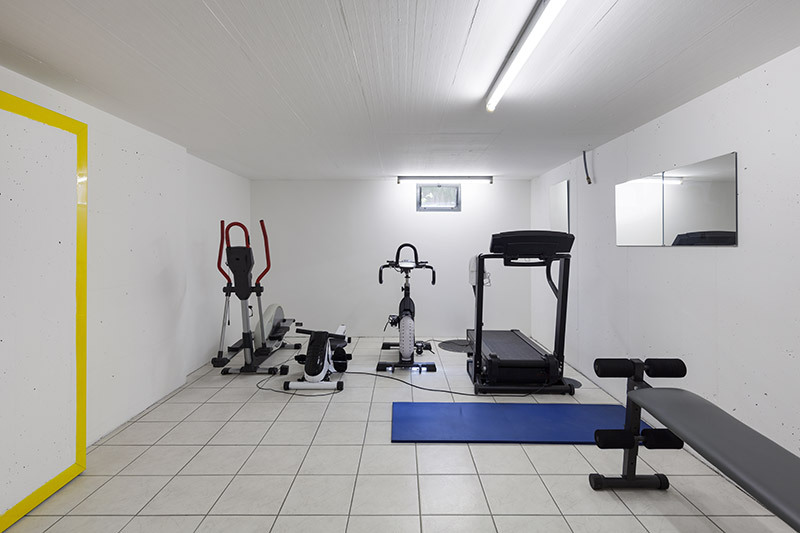 Whether you want to make your garage into an extra bedroom, an Accessory Dwelling Unit (ADU) or a home gym, the possibilities are only limited to the space you have. We’ll go over everything you need to know in order to start and finish a garage conversion project as well as some awesome ideas for inspiration. Just like with any other home improvement project, you need to plan ahead accordingly. If you try and go into your garage conversion project with no real structure, that’s just asking for disaster and headaches. Also, be sure to check for any local building codes that need to be taken into account as well as obtaining the proper permits if necessary. A lot of towns have different regulations, so you must check before you start doing anything. The last thing you want is any legal trouble. If you’re unsure, then talk to your local municipality. If you’re an experienced DIYer, be sure you get all the materials you’ll need. If you’re going to hire someone else for your garage conversion, do your research before hiring anyone. And of course, you’ll need to know what you’re actually converting your garage into. We’ll go over some ideas below to help you if you’re still on the fence. One of the more popular garage conversion ideas is making the space into an extra bedroom. This is a great idea for families with children who have to share a room. When they get older, they’ll want more privacy and converting the garage into another bedroom will allow them to have separate rooms and even make them feel a little more independent. Plus, it makes for a great guest room so nobody has to sleep on a couch or air mattress anymore. 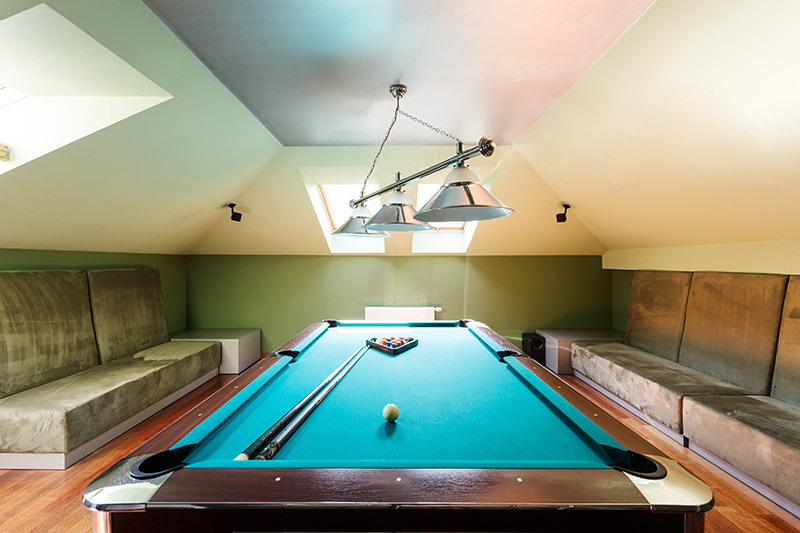 Another popular option is to convert your garage into a rec-room. Whether it’s a man cave, game room, bar, gym or home theater, the choice is all yours. This project is perfect for homeowners who don’t have a basement but still want an extra room for hanging out. Depending on the amount of space you have, you can combine a few ideas for the ultimate garage conversion. If you want another family room in your home, but don’t have a basement and don’t want to build an entire addition, then converting your garage into one is an excellent idea. A lot of homeowners don’t really use their garage, so converting the space into another place for family and guests to hang out will surely enhance your home. No more fighting over what’s playing on TV when you have another family room for others to enjoy. For those that work from home, turning your garage into an office can be extremely satisfying. You won’t have to worry about any distractions from others in the house and you won’t have to deal with a local library. With an entire room dedicated just for getting work done, you’ll be able to focus more and get things done more efficiently. You might be thinking, “where will my cars go after converting my garage?” Well, for those with taller garages, you can choose to loft it and make that space into whatever you’d like so that you can still park your cars underneath. This is great for homes that don’t have a lot of space outside to park their vehicles. However, this can only be done in certain situations so if you have a smaller garage, lofting it won’t be an option for you. After you figure out what you’ll be converting your garage into, there’s a few key factors to pay attention to. From flooring to plumbing, we’ll go over what you need to keep in mind while completing your garage conversion project. If you have an attached garage, you’ll most likely need to raise the floors of your garage for your conversion project. Garage floors usually aren’t level with the rest of your home and raising them will also allow you to insulate the floors. 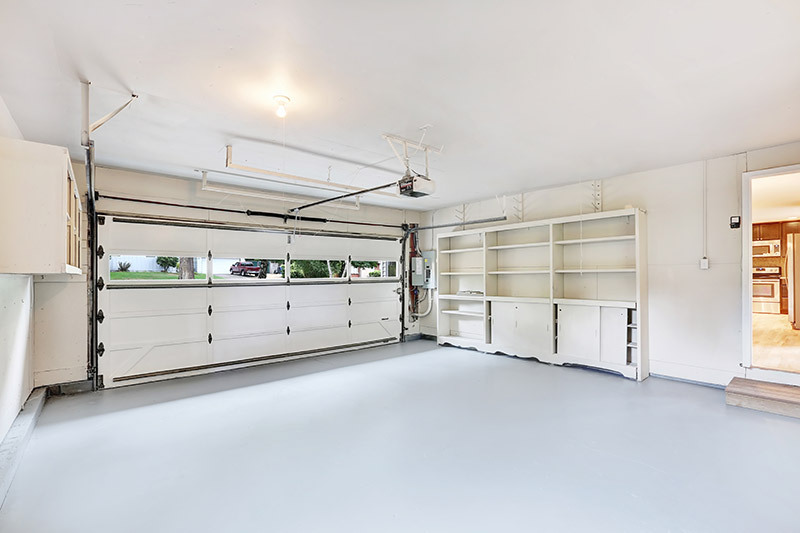 Depending on what you convert your garage into, there are many different flooring options available. For projects such as family rooms, offices and bedrooms, you might be thinking carpeting and for man caves and gyms, you could use laminate, epoxy or tile – it’s based a lot on preference. Whichever you do choose, it’s smart to insulate the floor because the original concrete flooring will get cold during winter time. Perhaps one of the most important aspects of a garage conversion is making sure your walls are insulated. If not, then your garage will almost never be as comfortable as you want it to be. In the summer, it’ll get extremely hot and in the winter it’ll be freezing inside. You’ll have to crank any heating and air conditioning to come close to your desired temperature which will drastically increase your energy bills. If you plan on keeping your garage door for your conversion project, that must be insulated as well. It’s the largest opening in your home so if your garage door isn’t insulated, you’ll be feeling the outside air a great deal. In order to maximize energy efficiency, you should get an insulated steel garage door. They’re made for the Midwest and can handle any weather thrown their way. Feldco provides Madison with the best garage doors in the Midwest. Our thick, heavy gauge steel garage doors come with foam insulation that will keep your garage comfortable year round. Since you’re converting your garage into some sort of living space, you’ll want some windows in there. They’ll provide natural light and ventilation which are critical for any room. If your garage already has windows, chances are they’re not the most energy efficient. Your best bet is to replace them with vinyl windows. Vinyl windows are extremely energy efficient and will never rot, warp or expand. When you choose Feldco for any replacement windows, you have the satisfaction of knowing you’re getting a product from America’s #1 window and door company. Get a free quote online now to begin your garage conversion journey. Garages are usually the least used area of the home. The only time you’re in there is when you’re looking for something or getting out of your car. However, that space can be utilized for so much more. Garage conversion is a trending project because it creates an entirely new living space for your home without having to build an addition. Whether it’s a spare bedroom or a full blown man cave, the options are almost endless. During your garage conversion project, you might find that your windows or garage door aren’t suitable for a living space. In such a case, you can count on Feldco to provide a high quality product and excellent service. Madison homeowners trust us to get the job done right and in a timely manner. Get a free quote online for your new garage door or windows.